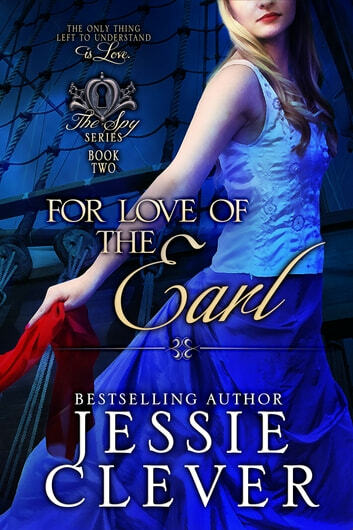 Fans of both historical romance and historical women's fiction will love this smart, witty, and suspenseful series from bestselling author Jessie Clever. If you like Lauren Willig, Deanna Raybourn, or Amanda Quick, you're going to fall in love with this author. Sarah Black, the Countess of Stryden, and spy for the British War Office, kidnapped by the French and imprisoned on a ship in the English Channel, has but one complaint: having to share a prison cell with her husband. Forced into the marriage to help her carry out missions as a female spy, Sarah struggles with accepting her position as a member of high society, a position that seems ill-gained in relation to her lowly birth. 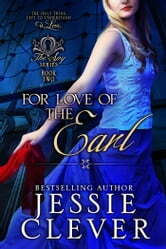 The fact that she is secretly in love with her husband, the earl, does not help matters at all. Alec Black, Earl of Stryden, and brilliant spy for the British War Office, cannot speak to his wife, which makes for a rather uncomfortable imprisonment. Unable to grasp the reason for his wife’s utter disdain for him, four years of marriage has brought no closer to knowing how to make Sarah love him. But when the deadly game of espionage threatens their only chance at a future together, the only thing left to understand is love. An enjoyable light Read with a nice touch of humour, it is great to read about a complete family and their work for the government with the situations they get into. I found the story jumped around too much. And repeated itself a lot. It was a bit boring and because i hadnt read the first in the series found it a bit confusing towards the end. But I did read the whole thing. Loved the story, characters, relationships,kept me reading the entire series!